Allu Sirish is all set to make his debut into films as an actor with Radha Mohan’s Gouravam to be shot in bilingual versions in Telugu and Tamil. Prakash Raj is producing the film under the banner of Duet Movies. Sirish who is celebrating his Birthday today on 30th May confirmed the news on twitter, “Gouravam is a commercial script that has the power 2 engage & move the viewers. Yami Gautham, who was seen in Tollywood hit film Nuvvila and earned fame with Bollywood hit Vicky Donor is debuting into Tamil films pairing up with Sirish in the film. 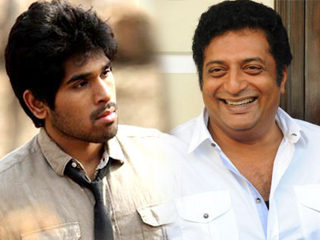 Gouravam begins its regular shoot from June 18th in Mysore and will have music by Thaman, cinematography by Preetha and art by Kathir.